Love is in the air! Can you feel it? 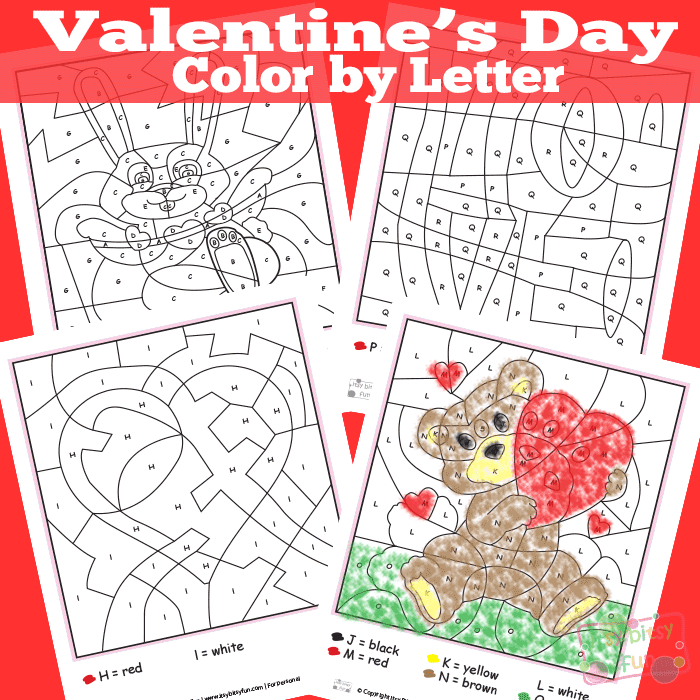 Let’s color it with these Valentine’s Day color by letters “worksheets”, it will be fun! I’ve also got a Valentine’s day Color by numbers worksheets in case your kids are working on their numbers (along with many, many more color by numbers worksheets with different themes). These sweet V-day printables can also be used as V-day cards to give to friends or you know, that special someone in class! Sharpen the coloring pens (or permanent markers if you laminate these – which I always advise as you can then pass them on to younger siblings or friends) and let’s start the ABC coloring! Great for learning the alphabet or just to have some care free fun! 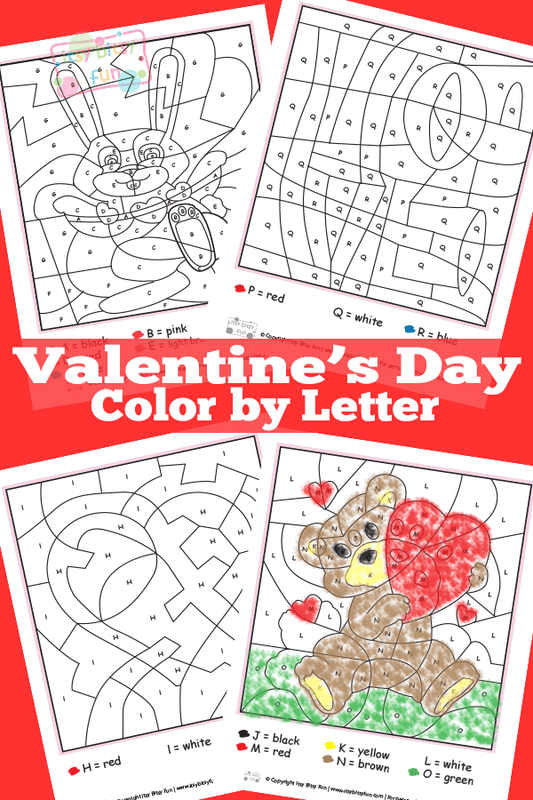 There are 4 different pages with V-day motives to color and they are best suited for preschoolers and kindergarten as they are just getting to know their ABC’s (and some stress free practice is always great) but older kids can enjoy them too! 1 page a white bunny holding a heart garland. 1 page a heart to color. 1 page with a teddy bear and hearts. 1 page with a word LOVE. Get your free printable Valentines Day Color By Letters here. This post is a part of lovely love inspired series called 14 days of love. Be sure to check all the awesome posts other bloggers have come up with!